About a month ago, a very nice woman from ThinTea asked if I would be interested in reviewing their 28 Day ThinTea Detox, I jumped at the chance because I had seen their products all over instagram and was really interested in trying it. In the package I received a 28 Day Detox Tea blend, a 28 Day Fat Burn Tea, and the cutest tea strainer EVER!!!! 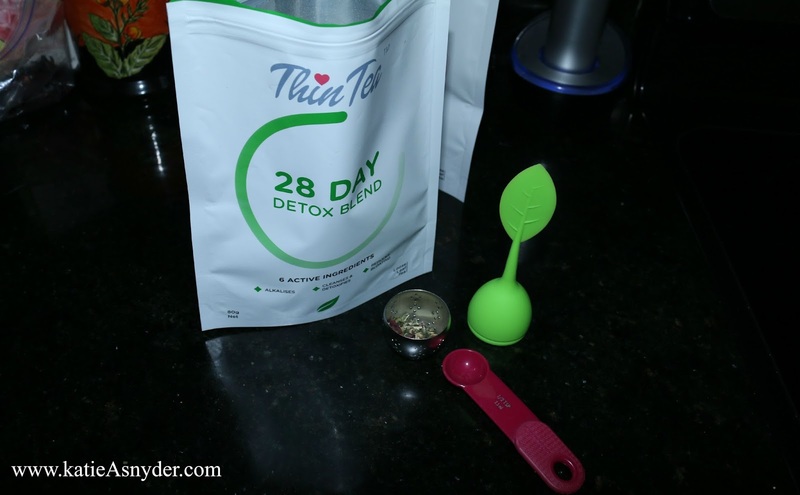 You start with the Detox (green/white bag) in the mornings, and drink this with your breakfast. Then in the evenings just before dinner you drink a cup of the Fat Burn (pink/white bag). 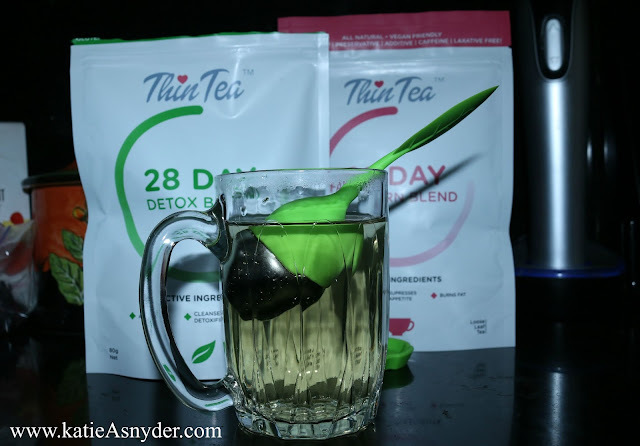 For myself I did notice a huge difference in my stomach, as I was having a problem with bloating and the Detox tea really did seem to help with that, though the down side is that to me the detox tea had a very distinct aftertaste kind of like metal. The Fat Burn tea is caffeine free and yet it does seem to suppress your appetite I’m not sure if it’s because you are drinking something quite hot before dinner or if it was the mixture of the herbs and spices in the tea, (it does contain cinnamon which is known to help with weight loss), but this tea has an amazing peppermint flavor that makes it a real treat to drink. The reason so many of these types of teas are so popular is because they can help you lose weight without having to resort to diet pills which many of them contain harmful chemicals, and harmful levels of caffeine, this specific tea however doesn’t contain caffeine or laxatives (like some of its counterparts), so you are getting something that is 100% natural and safe to consume. 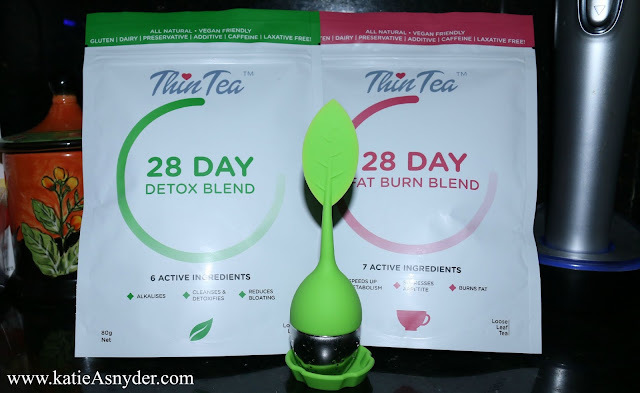 For myself I will not be purchasing the Detox tea because it was really difficult for me to finish the 28 day package because of the metal after taste, but I will be purchasing the Fat Burn blend as not only will it help speed up my metabolism and suppress my appetite, but it tastes so amazing I just can’t turn it down. Have you ever tried Thin Tea, or any other brand of weight loss tea, what was your experience? Here is todays Main Channel Video. *While ThinTea did send me this product free of charge, the opinions expressed in this blog post are solely my own.